It’s no secret around here that I love bubblegum. And if you’re new here, hi, my name’s Hayley and I’m a full-fledged bubblegum addict. And if I could, I would only make bubblegum-themed and flavored treats and only feature them on this blog because frankly, I don’t really care about so-and-so’s love affair with peanut butter & chocolate and I could reaaaalllllly do without it. But bubblegum. The heavens are singing and they sound GUMMYFREAKINGLICIOUS. I lead a simple life. Sue me. So when I realized ice cream could be made and consumed for a basic TWO ingredients (of which there is NO rock salt) and said-two ingredients would not have to be thrown into a complicated contraption and frozen for a certain period of time and/or rolled around in an oversized hamster wheel on the floor to entertain the kids, I was thrilled. Because I own neither rock salt, nor an ice cream maker, nor the fancy spherical-shaped ice cream contraption. I just own an appetite for bubblegum ice cream, unquenchable due to the lack of bubblegum ice cream ANYWHERE (Baskin Robbin’s version doesn’t count and I’ll tell you why soon). But of course, in my house I only think about myself (I consider cooking dinner for my family nightly enough selflessness that I can make my own damn ice cream) and I made the ice cream I’d most want. No peanut butter cups. No chocolate. Oh, and in case you were wondering why BR’s bubblegum ice cream doesn’t count? It doesn’t have gumballs. It has a lame excuse for a chicklet which is awful and absolutely disappointing. 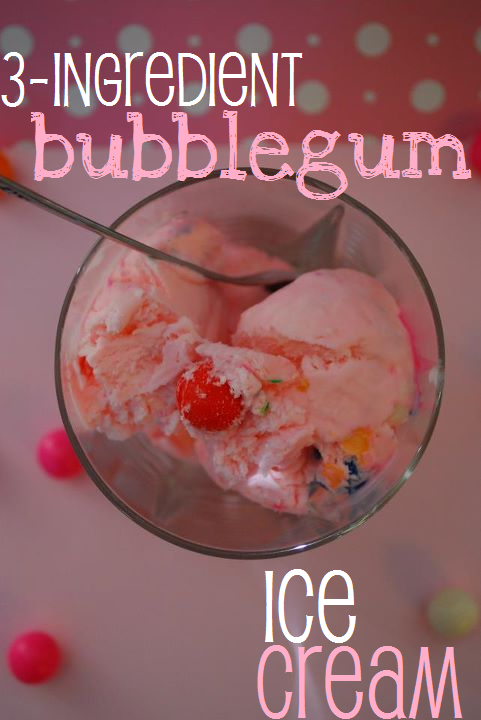 And for the record, bubblegum ice cream is NOT bubblegum ice cream without the actual gumballs. I don’t care about your teeth. You make this ice cream, you toss in the gumballs. Capiche? Okay, so it’s four ingredients after my spiel about the gumballs. WHATEVER. 1. In the bowl of a stand mixer fitted with the whisk attachment, begin whipping the very cold whipping cream on high speed for about 2-3 minutes or until stiff peaks form. You’re whipping it into completely stiff, whipped cream oblivion, people. 2. Gently fold in the can of sweetened condensed milk and the dram of bubblegum oil, carefully working semi-quickly as to avoid deflating the whipped cream. 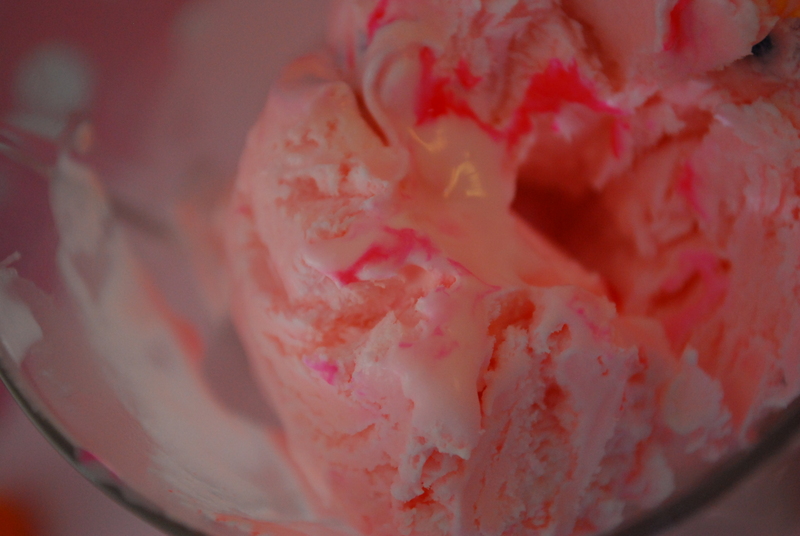 If desired, tint your ice cream with pink food coloring and gently stir that in. 3. 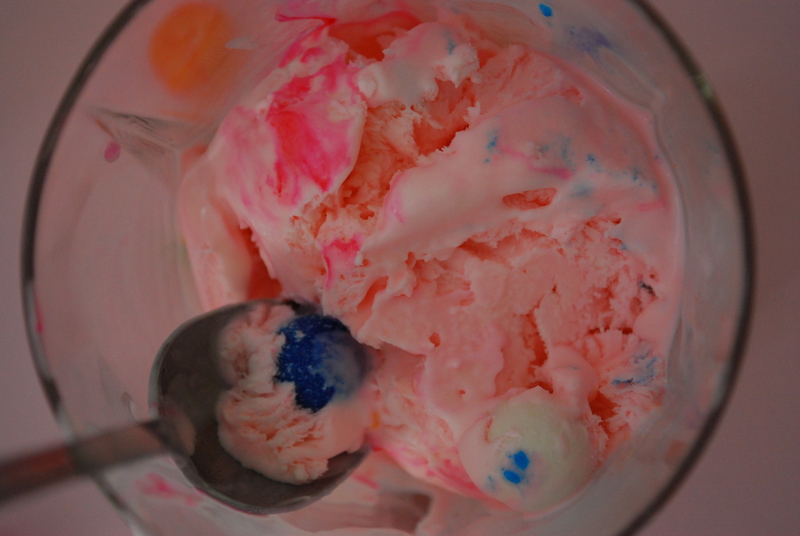 Once ice cream is flavored and tinted, lightly toss in some gumballs. 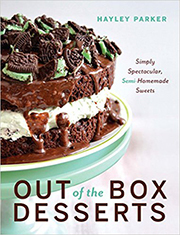 Pour the mixture into an airtight, freezer-safe container, seal tight, and freeze for about 6 hours or until firm. See? SO easy. I swear, I couldn’t believe it when I tried it. 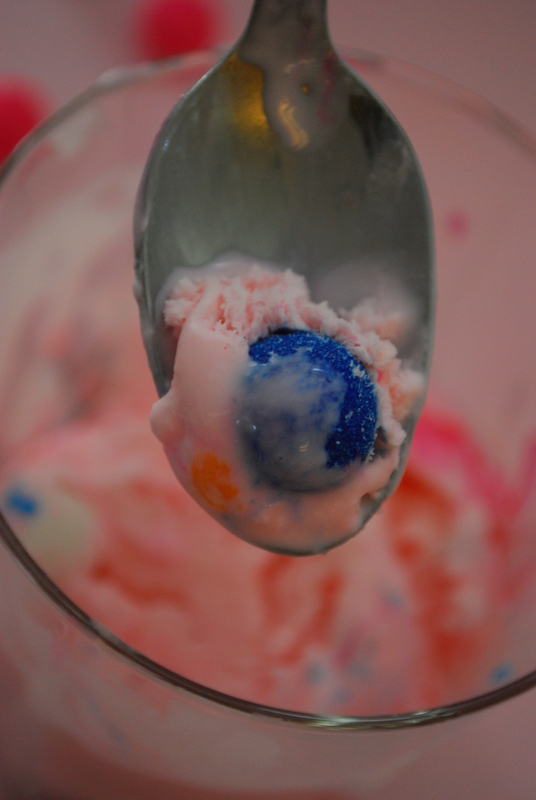 In fact, I believe my exact words were, “holy sh*t, I made bubblegum ice cream.” You can quote me. Best part? The versatility. I’m telling you, it’s insane. I also made my family a Moose Tracks-type ice cream with a fudge swirl and PB cups which was gone in minutes (explaining the lack of picture, of course). 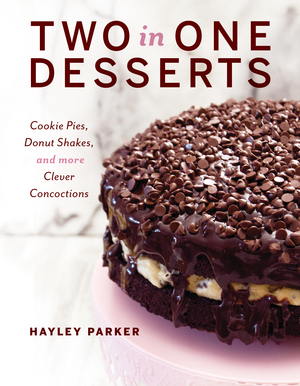 Next up, I want to do something minty (hello, Girl Scout Thin Mints) or cake batter. Really, this recipe is limited to your imagination, so use it! I haven’t tried 2-ingredient ice cream yet, but it looks sooooooo good. Dangerous information for me to have, for sure. Holy cow! And I love how colorful it looks with the gumballs in it–I’m going to have to look for that bubblegum flavor at Hobby Lobby! Yeah!! I had no idea Hobby Lobby sold it until one day, I spotted it and went bananas. I’ve previously had to drive out of town to pick it up at a small cake and candy shop, or order it online. Hopefully yours has it in stock!! And yes, 2 ingredient ice cream is VERY dangerous. I’ve been brainstorming ideas since I made this on Saturday and can’t stop! how would this turn out using a whisking by hand instead of an electric mixer as i do not own one lol? Hey Sam, you could certainly whisk by hand but it would take a bit longer! this reminds me of childhood 🙂 but my bubblegum ice cream was blue. ?? weird now that I think about it, but for some reason it made sense at the time. Carrie! I LOVE blue bubblegum ice cream. The ones I had as a kid were always blue also, but the bubblegum concentrate I used for this was pink so I went pink instead 🙂 somehow, in some way, blue tastes better to me! I’m absolutely in LOVE with your blog. I will have to sit down and go through it all when I have more time. I viewed like 2 pages and pinned both things! Hi, I’m Holly, and I’m a 35 year old bubblegum addict. My niece is also a bubblegum addict so I’m making bubblegum cupcakes with bubblegum frosting (and bubblegum jelly bellys or pop rocks, if I can find ’em, on top) and now this ice cream for her birthday next month. I expect it will be extraordinarily and sickeningly fantastic! If you go overseas to europe or some places in central america you can find delicious blue bubble gum ice cream. Best thing I have ever eaten. Ooh, thanks for the tip, Jeff!! The blue bubble gum ice cream does still exist but very few people still carry it. I don’t know why because it is superior by far compared to the pink bubble gum. If anyone has any information as to who makes the blue bubble gum ice cream or how I can order it from someone please send me an email to madisonlaiyne@yahoo.com. The Blue Bubble Gum Ice Cream is absolutely DELICIOUS!!! Hi, I have a soon to be 4 yr old princess, I am raising to appreciate the finer things in life. I have introduced her to blue bubble gum ice cream, and will be making her an ice cream cake for her birthday made of her fav ice cream. Island farms(Victoria, Canada) makes it and has done since i was a kid.I thought I would put it to the experts, for an idea of a base. I was thinking some sort of candy base? Not sure what would work best, any ideas?? I’m really excited about this recipe. Do you use the entire bottle of LorAnn? I’ve heard it’s pretty potent. Hi Anne! Yep, I use the whole bottle. I like a really strong flavor of bubblegum, and that seems to do the trick. Plus, the amount of the flavoring has to be distributed into all that cream, so it isn’t super overpowering in the end result. Is it possible to make this without the bubble gum oil? If you would like to improve your experience simply keep visiting this site and be updated with the newest news posted here. Hayley, you and I are kindred spirits. I absolutely adore bubblegum. My two favorite flavors are grape and the Ye Olde Classic Originale. My all time favorite bubblegum to chew is Big League Chew Original flavor. I have pouches stashed all over my house. Whenever I go get ice cream with my family, I always go for the bubblegum flavor, with the occasional cotton candy or Superman. They always turn their noses up at my weird bubblegum ice cream flavor cravings, but they don’t know the pure joy I get out of it. This recipe is excellent. Fortunately for me, I’m the only person who ate it so I had a great frozen stash for a while. If you can come up with a cotton candy ice cream, post it up! BRs version of CC flavor is actually quite good (the bubblegum flavor is good too, but they need to up the actual gum game with gum balls in it) but I hate having to drive 30 minutes to enjoy it. Keep fighting the bubble blowing fight…. Jake – you totally made my morning! I love meeting new bubblegum-loving friends from around the world. I should make a cotton candy ice cream and I’ll keep you posted 🙂 And you’re SO right – BR needs to add gumballs instead of those chicklets! omg!!! You are my hero!!! 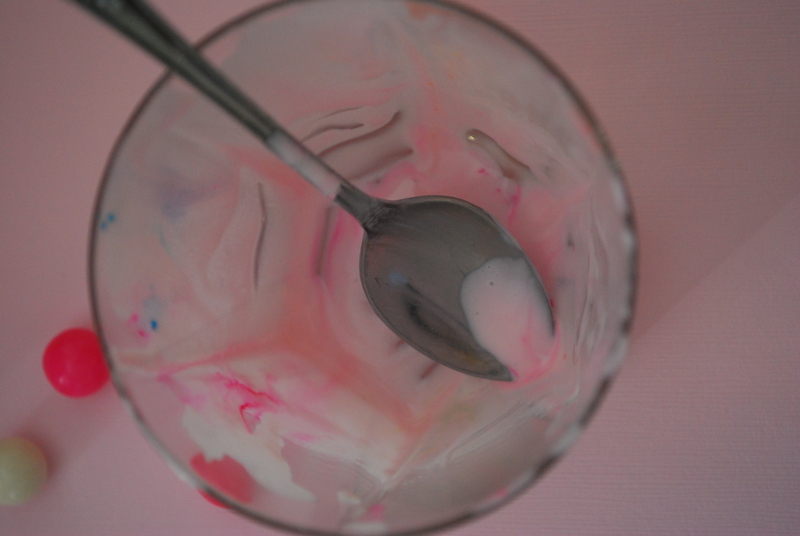 I didn’t know anyone else in the world could love bubblegum icrecream as much as me. And the local shoppe stopped selling it since kids were putting the gum under the seats. 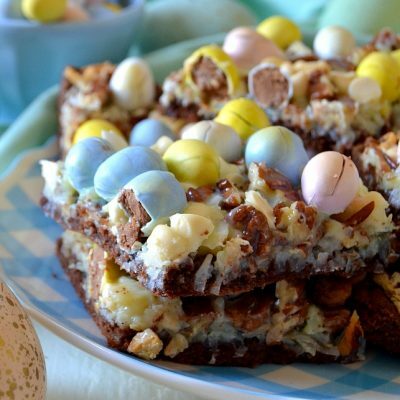 Bless you for sharing this recipe!! It’s to die for, Carmen! Enjoy!! xoxo!